On Monday, Qualcomm made an announcement that it has acquired Capsule Technologie, a maker of medical data collection technology, in a bid to expand the San Diego Company’s footprint in the medical Internet of Things market. The company didn’t disclose purchase price. Based in France, Capsule has over 1,930 hospital customers in 38 countries and is going to become part of Qualcomm Life. Qualcomm Life is a division which offers the 2net wireless connectivity platform to medical device makers. A hub device is part of Qualcomm’s 2net to provide wireless connectivity in homes and a secure network backbone for the transmission of the patient data to doctors and other care givers. The European Commission on Thursday said that it has opened two investigations into possible abuse of market dominance by chipmaker Qualcomm Inc. It is so far the latest step from European Commission in a string of antitrust and tax inquiries into major U.S. corporations. The European regulators said that the first investigation will examine whether the chipmaker offered financial incentives to its customers if they agreed to purchase exclusively or almost exclusively from Qualcomm. Qualcomm Inc., is the market leader in chips used for voice and data transmission in smartphones, tablets and other mobile devices. A former senior executive at semiconductor maker Qualcomm Inc on Friday was sentenced to a one-and-a-half year in prison for a three-year insider trading scheme. Jing Wang, Qualcomm's former president of global business operations, made several hundreds of thousands of dollars in illegal profits from buying shares of Qualcomm and another company based on knowledge gained in his elevated position. Wang, 52, of Del Mar, California, pleaded guilty last year in July to the charges of insider trading, money laundering and obstruction of justice in connection with his scheme. According to the U. S. Department of Justice, Wang admitted to three separate insider trades using a brokerage account in the British Virgin Islands. Frank Meng will join the US chipmaker Qualcomm Inc as its chairman for China, a market which generates half of the overall revenues for the company. The company chose Meng for the coveted post after recently going through tough times in China. Qualcomm also revealed that Wang Xiang would step down from the post of president of Greater China. Wang will serve as the head of Chinese smartphone maker Xiaomi Inc.
Qualcomm said in April that some of its licensees in China may not be fully reporting their sales of licensed products, undercutting revenues. Semi conductor company Qualcomm has found new ways to input audio into its AllPlay WiFi streaming. The company’s new feature supports Bluetooth feature in addition to analog audio input on supported platform. Bluetooth is a feature that has become an effective method for streaming music wirelessly to speakers input so it’s not a surprise that Qualcomm has begun supporting the device. The company also made an announcement regarding an EQ feature that will be made available to designers to add in their AllPlay enabled application. The company has decreased the audio latency of AllPlay feature to less than hundred milliseconds in order that user home won’t produce sound like a huge echo chamber, while streaming audio to several products. Semiconductor company Qualcomm is under pressure from activist investors to consider a break-up. The proposed break-up could boost the chip maker's stock in the short-run, but it will solve the company other problems. Those will be solved by innovation. For a long time, Qualcomm has been a star performer on Wall Street. The company's revenues and earnings have been growing quickly. The company has been in the right business at the right time. The company is the leading maker of LTE chips. In addition, Qualcomm has some big customers like Apple and Samsung Electronics. The Wall street Journal has reported that the activist investor Jana Partners LLC has urged Qualcomm Inc. (QCOM) to consider a breakup and other options for boosting the giant chip maker's sagging stock price. According to a quarterly letter to Jana investors, reviewed by The Wall Street Journal, Jana has asked Qualcomm to consider spinning off its chip unit from its patent-licensing business, which accounts for most of the company's profit. Fifteen years ago, Qualcomm itself proposed the same idea but later on called it off. Qualcomm, an American global semiconductor company, announced today that its board of directors has given approval to the company to repurchase up to $15 billion of its common stock. It has been told that the board initially gave approval for a major increase in the company's capital return program in order to deliver value for stockholders. The company is planning to repurchase $10 billion of its common stock within twelve months of this announcement. The company's board has also approved a 14% of increase in Qualcomm's quarterly cash dividend, which raised the annualized dividend payout to $1.92 per share of common stock. Chip giant Qualcomm on Monday introduced two new Snapdragon processors, which promises ultimate mobile computing experiences in video, imaging as well as graphics. Qualcomm said it designed the Snapdragon 810 and Snapdragon 808 processors for high-end mobile smartphones and tablets. Designed with 20nm process technology, the new processors boast Cat 6 LTE, advanced multimedia features and 64-bit capabilities. The processors are the company's highest performing platforms to date, and completes its lineup of 64-bit, LTE-enabled chipsets. Chip maker, Qualcomm has recorded an increase of 31 per cent in profits to $1.58 billion during its third quarter of the year. Qualcomm has recorded strong demand in the smartphone and tablet market. Its processors are powering a host of high-profile devices including some Samsung Galaxy S4 handsets and are set to be inside Google's second generation Nexus 7 tablet. Hind demand from manufacturers of tablets and smartphones have helped the company increase its revenues by 35 per cent to $6.24 billion. Qualcomm Inc has indicated that its second batch of investment in Sharp Corp is likely to be delayed as the two companies have not reached an agreement on the terms of the deal. 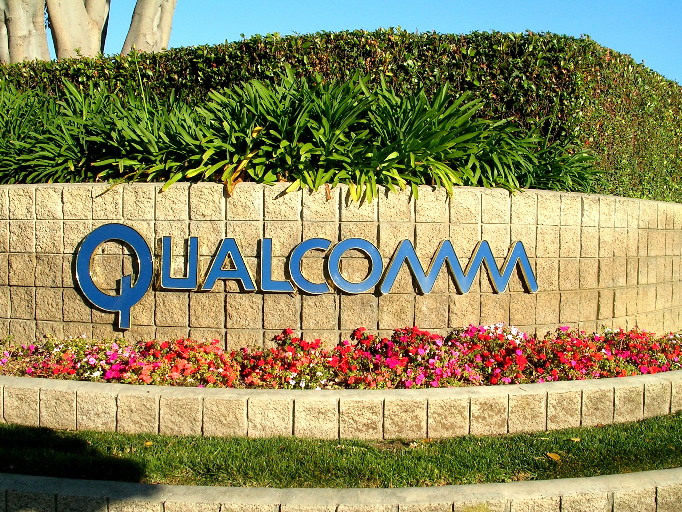 The investment was earlier expected in March, but Qualcomm has hinted that it might now be delayed until the terms of the deal have been agreed between the two sides. The delay in receiving the second round of capital from Qualcomm will add pressure on the struggling Japanese electronics maker, which is aiming at strengthening its financial position amid difficult market conditions. On Thursday, San Diego-based chip giant Qualcomm unveiled a new radio chip - the RF360 radio chip - which it claims will be capable of supporting all the LTE bands in the world in a single device. According to Qualcomm, which is best known for baseband processors, the set of new RF360 radio chips will essentially help overcome the fragmentation problems which currently plague the manufacturers of 4G devices. With the effort to lead 4G data services, India's biggest telecommunication operator Bharti Airtel has inked a deal to get hold of 49 per cent equity stake in Qualcomm Asia Pacific's BWA biz in the Indian market for around $165 million (Rs 922 crore). As per the contract, Airtel will get permissions to provide 4G data services in four different circles that consists of Delhi, Mumbai, Haryana and Kerala. The Indian government has granted a an Internet service license to Qualcomm, allowing the company to launch its services in the country. The US company will soon get wireless broadband services permit in the country. Qualcomm obtained wireless broadband airwaves (BWA) in the June 2010 during an auction. The company had paid Rs. 4,913 crore for obtaining the licenses to operate in Delhi, Mumbai, Haryana and Kerala. The US Federal Communications Commission has given its approval to the AT&T's purchase of 700MHz spectrum from Qualcomm, which will allow it to expand its 4G LTE network and add capacity to ease congestion on its network. The approval comes after AT&T announced its decision to move away from the approved takeover of T-Mobile USA aid opposition fro regulatory bodies. The approval comes much sooner than expected as the FCC had earlier said that it would take 180 days from 29 November to announce its decision. The US based mobile chip supplier- Qualcomm made an announcement to sell of its 26 percent stake to Global Holdings and Tulip Telecom. This deal is for its India broadband venture and will fetch around about $58 million to the company. The reason for offloading its stake to these Indian companies is that as per the laws of Indian Broadband Venture by any foreign company, Qualcomm's cannot exceed beyond 74 percent. So the rest of stake has to be partnered by Indian companies. Global telecom player, Qualcomm has said that it is going to sell its 26 per cent stake in its Indian broadband venture with Global Holdings and Tulip Telecom. The price has been set at $58 million. The US-based telecom chipmaker had spent $1 billion for buying wireless airwave in the BWA auction that took place recently. The company has been depending on its ownership of air wave to be able boost its sale of advanced cell phones and chips in India. Qualcomm has proclaimed the latest 1.2GHz dual-core Snapdragon chipset for cellular phones. This upgradation of technology loads new features and adds to the power consumption as well, which means that an additional back-up of your mobile phone or tablet computer, i. e. long lasting battery. This new chipset will have a GPU with 2D and 3D support, and will be able to handle 1080p HD video. As reports from TechRadar, an online tech magazine states, it will feature a low power GPS, which means added life for your smartphone as a GPS device. The Broadband Wireless Spectrum Auctions (BWA), that are going to take place on Monday, will be seeing some big offers. It is said that many of the telecom companies, Internet companies and chipmaker, Qualcomm, are going to take part in this. BWA is important since the airwaves are necessary for providing future technologies. Experts have already predicted that the auctioning of these waves will be a furious as 3G spectrum sale. In this, 20MHZ of airwaves are under the hammer, is four times that of 3G spectrum. It is also said that BWA can be an asset when it comes to voice-service. Qualcomm Inc. has informed that it had applied to bid for a broadband wireless license in India. The company is eying to launch its latest wireless technologies in the country soon. India has become the world's fastest growing market in mobile services. The market has vast opportunities and possesses a huge potential. The government and Department of Telecom has decided to conduct an auction for the 3G and Broadband Wireless Access spectrum in the upcoming month.